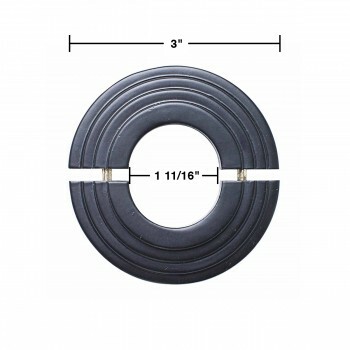 Waterfall Radiator Flange 1 11/16 in. I.D. 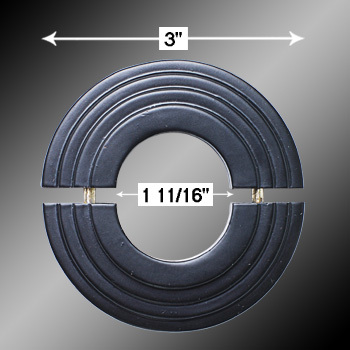 Specifications for Waterfall Radiator Flange 1 11/16 in. I.D. Radiator Flanges or Radiator Collars. Replace old & rusty radiator flanges with RUSTPRROF decorative radiator flanges. Their beautiful black powder coating prevents rusting and maintains a rich luster for years to come. Easy to assemble, just snap-in both pieces together around the radiator pipe. Measures 3 in. O.D and 1 11/16 in. I.D.